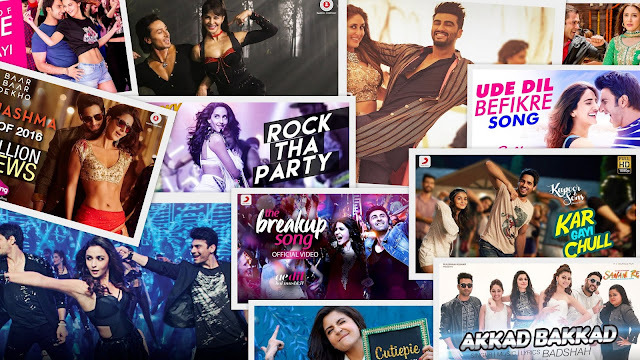 Hi Guys , we had compiled some of the hit party songs of 2016. We hope that you would like it and let us know whether there are any song that you want to add on to the list. Hope that you would enjoy it :). Party hard !!! Kaala chasma – From the movie Baar baar Dekho was soon a hit, when the song was released on YouTube 26 July 16. 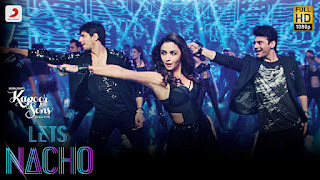 The song featuring Siddharth Malhotra and Kathrina Khaif has about 149 million views in YouTube till date. The music score was originally done by Prem Hardeep and remastered by Baadsha. Khar Gayi Chull - First released as a Solo album, Chull was already a hit. Originally composed by Baadshah, the song for the movie was remastered by Amaal Mallik and sung by Baadshah, Fazilpuria, Sukriti Kakar and Neha Karkar. Baby ko bass pasand hai – Baby ko bass pasand hai is a peppy song from the movie Sultan. 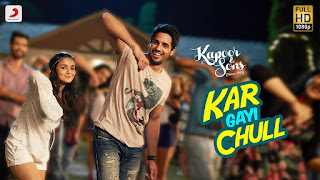 The song is sung by Vishal Dadlani, Shalmali Kholgade, Ishita and Badshah. The lyrics is done by Irshad Kamil and music is handled by Visha & Shekar. The song features Salman Khan and Anushka Sharma. 1. 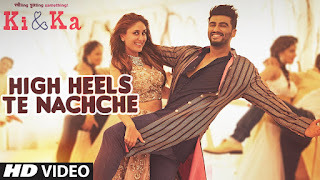 High heels – is the song from the movie KI & KA. The songs are composed and sung by Jaz Dhami and Aditi Sharma aka Meet Bros. Honey Singh had also rapped in the song. The lyrics of the song is done by Kumaar. 1. Beat Pe booty – The song from the movie ‘A Flying Jatt’ features Jacqueline and Tiger Sharoff. The music of the movie is done by Sachin-Jigar and lyrics composed by Vayu. The song is sung by Sachin, Jigar Vayu and Kanika Kapoor. Rock tha party – The song was originally a solo album done by Bombay Rockers. The Music, lyrics and background singing is done by the band itself, which includes Navtej Singh Rehal, Thomas Weinholt Sardorf and Jasun Bosen Barnewitz. For the movie ‘Rocky Handsome’ the song is mixed and mastered by Eric Pillai. The movie has John Abraham and Sruthi Hassan in the lead. 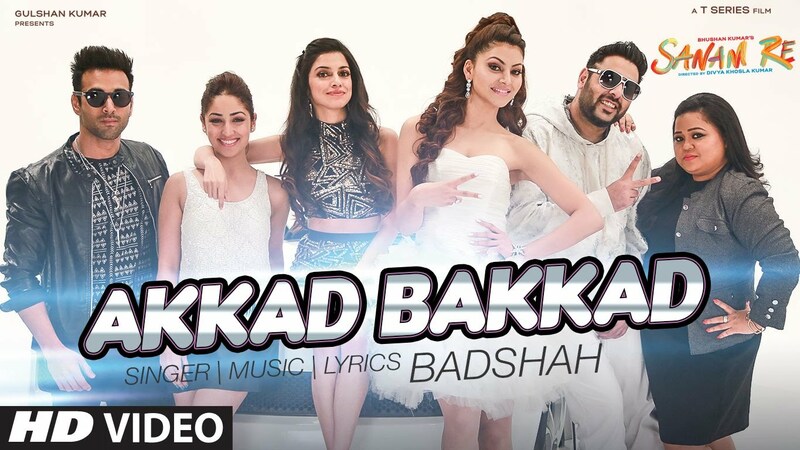 Akkad bakkad – The song from ‘Sanam Re’ is sung by Badshah and Neha kakkar. Badshah himself handles the composition and lyrics of the song. 1. Let’s nacho – As you can see, most of the songs in this list has a common element. Yea! You thought it right... It’s Badshah. Even this heart pumping song is sung by Benny Dayal and Badshah. Composed by Nucleya & Benny Dayal. The lyrics were written by Kumaar and Christopher Pradeep. Ude Dil Befire – Being the title song of the movie. It was well received by the film goers. The vocals for the song is done by Benny Dayal and the music is by Vishal and Shekar. 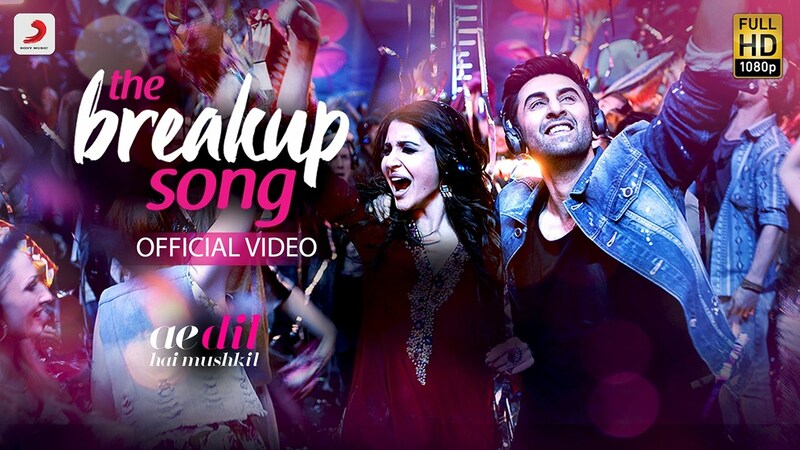 The Break up song – The catchy song from Ae Dil Hai Mushkil, grabbed attention with the title of the song too. All the songs in the movie are expectation in their own way, thanks to Pritham for his beautiful composition. The songs penned by Amitabh Bhattacharya are sung by Arijith Singh, Badshah, Jonita Gandhi and Nakash Aziz. 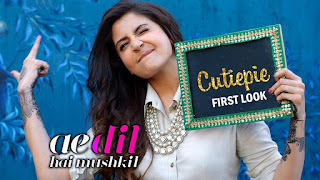 Cutie Pie – Cutie is yet another song from Ae Dil Hai Mushkil. 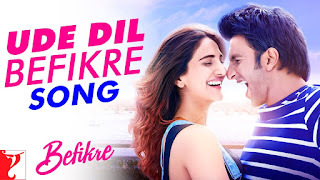 The visually vibrant song featuring Rabir and Anushka is must watch. Sung by Pardeep Singh Sran and Nakash Aziz, the music is done by Pritham. The lyrics of the song is penned by Amitabh Bhattacharya.